This might sound like an oddball subject to some of you, but the truth is, choosing a URL for your business is probably one of the most important things you can do. If you think I am kidding, take a look at some of the most famous URLs on the Internet. Most of them do not even describe what the site is for. I'm referring to sites like Yahoo, Google, AOL and a host of others. 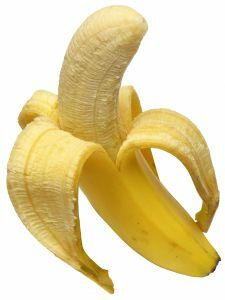 In their cases, they chose a brand name over a site that outwardly states what it does, such as www.howtoeatbananas.com, if such a site even exists. And thus, that brings us to the psychology of how and why we pick the sites that we choose. You're going to run into all types of people on the Internet. There will be those who will be taken in by the cool or quirky title. Ruckus is a perfect example of this. You wouldn't have any idea from the name that this was a site where you could legally download music, but it is. Myspace is a little better as it hints that whatever you'll get there will probably have something to do with it being yours. But nobody could ever imagine the magnitude of what one will find at Myspace. And then you have sites like TinyURL. That's a perfect description of what you can expect to find there, tiny URLs for your promotions so you can cloak your big clunky links with a very small, or tiny link. And there are plenty of sites out there that have a domain name which pretty much tells you what you are doing to find. In NJ the NJ Devils hockey team site is newjerseydevils.com. You can't get much more descriptive than that. So the question is, which direction do you go? Do you choose a domain that is very descriptive of what you are selling or promoting there, or do you go with a quirky name like squidoo.com? Whatever you decide to use, there is going to be a tradeoff. For domains where you are trying to get across exactly what one would find there, you'll have a better chance of somebody identifying with the site for finding information on that particular topic or niche. However, if you're looking for that killer hook name that people will think of in the same breath as a Yahoo or Google (people referring to looking up somebody's info as Googling them) then you're not going to have as much luck. Most likely, the domain name itself won't be short enough and catchy enough. So brand popularity is going to be harder to come by. On the reverse side of this coin, if you have a site on how to garden and you call it giggly.com, I seriously doubt that anybody is going to associate that site with gardening. They're going to expect something like gardeningtips.com for finding info on gardening. Domains are also cheap enough now that you can get a few different url’s and stew on it for a little while and see which one you like the best, then just park or forward the remaining ones. You also should consider some of what will be the most common keyboard errors when typing in your domain and get those too. With my own I kept hitting the “p” at the end instead of the “o”, my fat fingers just didn’t want to hit that “o”, so I just got both and forwarded the one with the “p” on the end of it.